Before I left for Kochi I faced a mental block on packing. Something that I generally never experience. I spent quite a lot of time deciding what to pack for Kochi. I tried looking up on the internet but to my surprise, no help was available online as well. I looked up on Youtube and I did find some videos for reference. If you are travelling in India packing can get very tricky. What you would pack for Goa will not be the same as the stuff you pack for Rameshwaram. This problem is mainly persistent for women, men can easily find their way without making any noise. But if a woman goes wrong with clothes, she has got all eyes on her. Not to mention the numerous lecherous verbal remarks. No matter how clichéd and trite it may sound but being a woman is a difficult job in itself. But I wouldn’t have liked it in any other way. 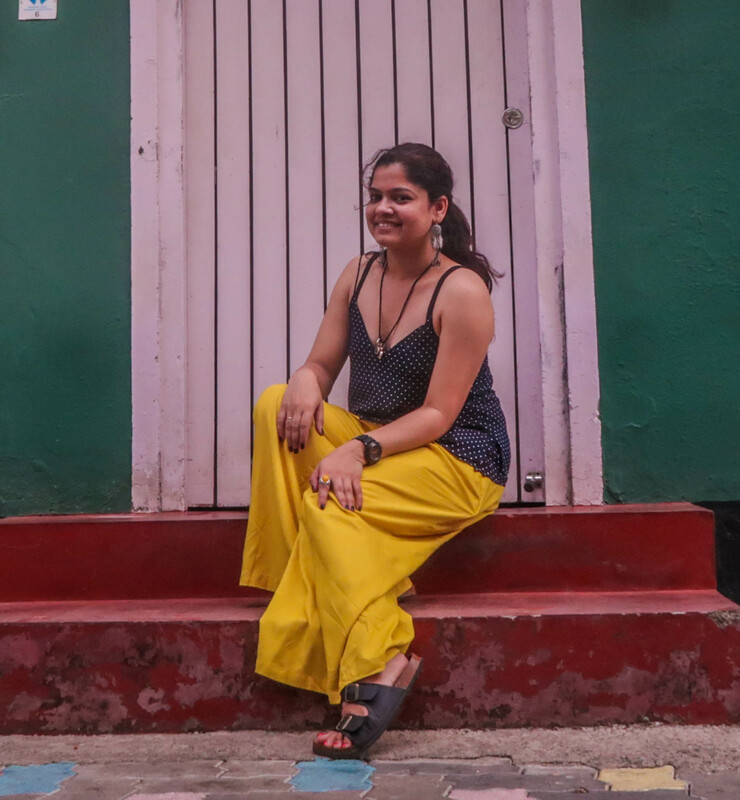 So without digressing from the topic, this post is all about “What to Pack for Kochi”. Kochi is generally hot and humid except for few monsoon months. Hence it is important that you proactively check for the weather condition before you start packing. I was in Kochi in the month of the May and it was hot as furnace at that point of time. So my packing guide is following the hot and humid weather condition. Choose clothes which are loose, airy and flowy. This will allow your body to breath and air to flow throughout the clothes. The humidity results in heavy sweating and if you are wearing something which is tight or too body hugging the body will not be able to breathe. Avoid denim too. 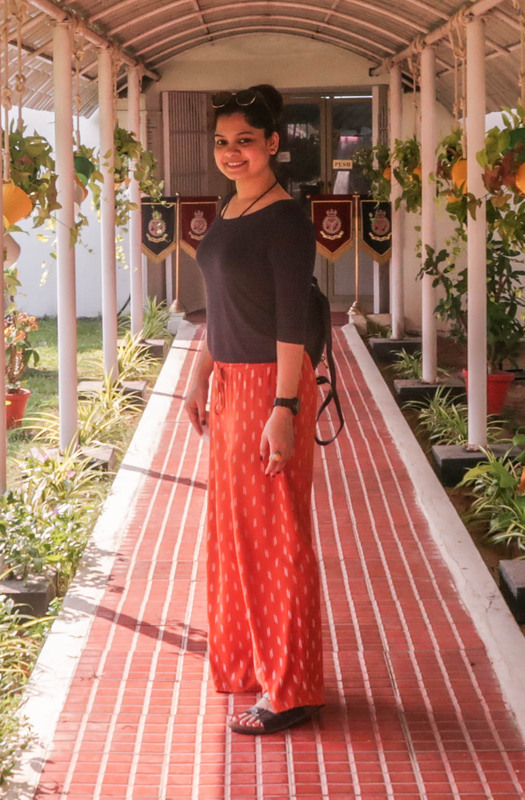 Loose Palazzo pants and culottes. Choose cotton tops which are either quarter sleeves or full sleeves. This will prevent your body from getting suntan and sunburn. You can also choose cotton maxi dresses or dresses with modest length. They are good for daytime as well for the evening times. Ensure to carry a stole to cover your head and body. 1. Hot pants or shorts. If you wish to wear shorts make sure the length is modest length (knee length). 2. Strapless, spaghetti and sleeveless apparels. Only to save your body from getting suntan and sunburn. Carry a comfortable slip-on footwear. Any footwear with a lot of straps or laces. Kochi has a lot of Churches and temples and you cannot enter the premises with your footwear on. So if your footwear has a lot of straps or laces you will take a lot of time to take them off and wear them again. However, if you have a slip-on footwear, you just have to slide your feet inside and you are good to go, It saves a lot of time and adds a lot of conveniences. Carry light accessories just so that it’s not too much for the body to bear. The must to carry accessory is a cap or a hat. You definitely need a strong cap/hat to tackle the scorching heat of Kochi. As per your own preference. The must-carry item in this area is Sunblock. Carry a lot of sunblocks as you would need a lot of it during your stay in Kochi. Make sure to carry some wet wipes all the time. Since it gets really sweaty, wet wipes help in keeping the skin clean and fresh. Also, ensure to carry some deodorant, you don’t want to smell bad on your trip, right.